The Latest with David Jay: Is Hummus good for you? I really like it and I have a lot of it in the fridge so I've been eating it but I was wondering if it's good for me. I try to eat it with carrots if I can but sometimes I have it with my crackers. I'm watching the Lakers game right now and the Lakers are absolutely smoking the other team. I don't even know who they're playing b/c they are dominating so much! I actually don't care about teams really I'm more a fan of players. I loved the Bulls when they had Jordan and now I like the Lakers because they have Kobe and he's an entertainer. Hey DJ this is what I found when I googled hummus. To make long things short: there’s a huge difference between readymade packaged hummus and the homemade version of the dish (recipe) . True, the ingredients of an industrialized hummus of a certain brand, may vary. But in principle, it has about twice the amount of calories (and mostly non of the nutrients and nutritional benefits) compared to a fresh hummus, cooked prepared at home or eaten in a restaurant. A recent study made in Israel, found out that non of the popular local hummus products was remotely similar in content to real hummus, made by hand. Most products had a value of around 320-350 calories for 100g, 50-65% of which came from fat. “Real” hummus, should contain about 175 calories, out of which 70-80 calories are contributed by fat. Oh and your L.A. Lakers are playing our Boston Celtics. I'm not big into basketball ever since Jordan retired, and Kobe is alright but he's no MJ. enjoy your hummus. Hey DJ! Hummus is most definitely good for you! That right there is what got me through four years of studying naturopathic medicine! So enjoy your hummus! Btw, I'm an a huge fan of what you've contributed to the photography industry! I love the hummus from Trader Joe's with pita chips. It's made out of beans, so it should be good for you! Because I really don't like Kobe...Go Celtics!! I've always assumed hummus was good for you. I like it too, but I always forget to get it at the store. Hummus... what a funny word. mmm hummus..It's protein! I make it at home all the time. I like it better than store bought. In a blender- 1 can of garbanzo beans (w/some liquid), some garlic, lemon juice, olive oil and a dash of cayenne pepper.~ To keep the calories down use more bean liquid than oil to get the consistency you like. I make about 2 batches a week. Can't get enough! Celtics are entertaining the Lakers! 1. You deny your Phoenix roots by cheering for the Lakers? Shame. and 2. The Celtics won of course. 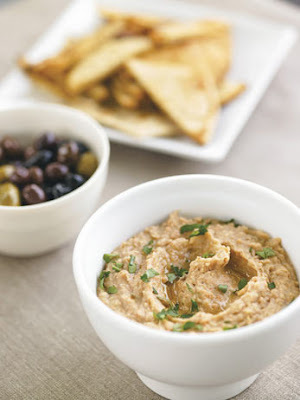 We LOVE hummus - we make our fresh.. easy to make. Love it - Great jokes about Hummus in Adam Sandlers new movie "Don't mess w/the Zohan" - almost a joke about it every other scene, as a side note, freakin hilarious movie - he's back to his Billy Madison/Happy Gilmore roots with this movie - def. worth a watch. Hummus can have a lot of oil in it ... I wouldn't call it a "low fat" food, but it's still healthy. I make my own in my mini food processor/chopper. Just get a can of garbanzo beans, some tahini, and process with olive oil, some of the water from the beans plus whatever herbs/spices you want. Toss in some olives or sun dried tomatoes too.